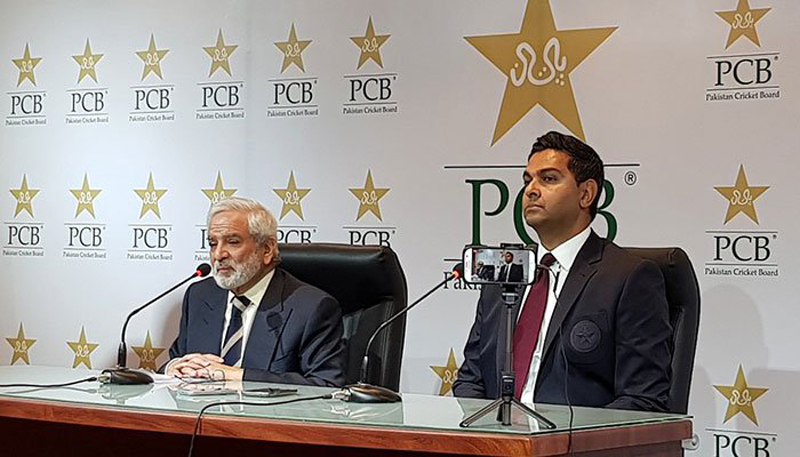 Pakistan Cricket Board (PCB) Managing Director Wasim Khan on Sunday stressed the need to tackle the structure of domestic cricket in the country in order to achieve sustainability and consistency in Pakistan’s performance. Wasim said bringing Test-playing teams to the country remains his top priority, as he reiterated the need to revive international cricket in Pakistan. Wasim, while addressing a press conference here along with PCB Chairman Ehsan Mani, acknowledged that the national team’s performance was not good at an international level, particularly in Test cricket’. “Our actual problem is at the grassroots, in the system,” he said, explaining that it was important to strengthen the domestic cricketing structure. “The system isn’t strong, and we know that because of the result we are seeing, the inconsistency we are seeing.” The PCB appointed Wasim as its managing director in December last year. Meeting the national media for the first time, Wasim also thanked Mani and the PCB for finding him suitable for the post. Wasim, who most recently served as the chief executive of Leicestershire County Cricket Club, said the PCB would consult stakeholders and do their best to provide this domestic strength. He conceded that revamping the domestic structure would pose a challenge since a number of departments and regions were embedded within it. “There is no sustainability in our success at an international level, so we are not looking at a short-term solution, we are looking at it for the long-term,” he asserted, adding that they would try to develop sustainability. The new MD said that the PCB’s job was to examine the system of domestic cricket and foster a culture around the sport in schools and at a district level. He termed Mani’s vision for domestic cricket as ‘very clear’. “The system has been build up over many, many years, and you don’t break a system down overnight,” he said. Since 2009, the PCB has been pushing the BCCI for more matches between the two countries regardless of the political tension between them. It began during the Zaka Ashraf regime and reached its end during Najam Sethi’s, when the International Cricket Council rejected the case he filed against the BCCI for dishonouring an agreement to play seven bilateral series between 2014 and 2023. A dispute resolution committee in November 2018 ruled that the agreement only counted as a “moral obligation” and not a legal one. The chairman Mani stood by Wasim’s views on India-Pakistan cricket. “Until it’s not done, elections in India, there is no avail of engaging them at this stage because we have to start over with new people in BCCI,” Mani said. “But our relation with Indian board is very good and we have a mutual respect but we won’t be imploring them to play us. If we will take Pakistan cricket to a level where we are among the best top three teams in the world, they will come on their own to play us. I get a lot of messages from Indian journalists and public about their wish to play against Pakistan. Unfortunately, politics sneaks in which I don’t believe sports should ever be mixed up with. But it happens in our environment, especially in India it’s a lot. But I understand when they are done with elections their attitude will get right too,” he concluded.